It might have Sport in its name, but the new Range Rover Sport, isn't exactly sporty. It is sportier than the larger, plusher and more expensive Range Rover, yes, but that's not really saying much. The Sport's handling isn't sharp; it has enormous body roll around bends; and its steering, though light and precise, offers no real feedback. Now, if you have been reading OVERDRIVE, you already knew this. But if you haven't, you can read what we said about the Sport when we first drove it in Wales in July here. 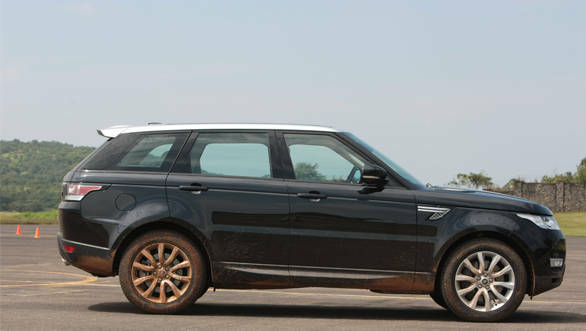 What we did like then, was the new Sport's ride quality, its off-roading ability and its lovely engines - the V8 petrol in particular, which pulls this two tonne plus SUV to 100kmph in 5.4 seconds. What we are driving here in India though, is the diesel. The V6 makes 292PS and 600Nm of torque and comes with a claimed 0-100kmph time of a little over seven seconds. So, the SDV6 isn't slow either and it too is mated to an 8-speed automatic that comes with steering mounted paddle shifters like the petrol. However, the SDV6 doesn't get the Terrain Response 2 system as standard unlike the V8 petrol. 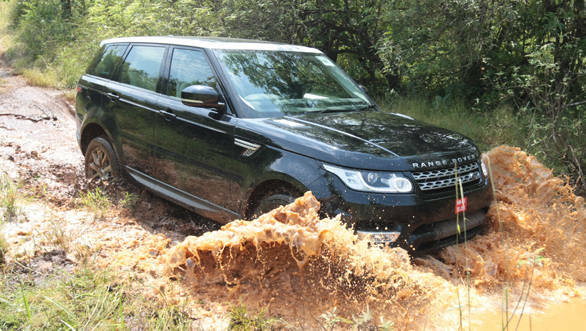 And it is this system which is one of primary reasons for the V8's brilliant off-roading ability. 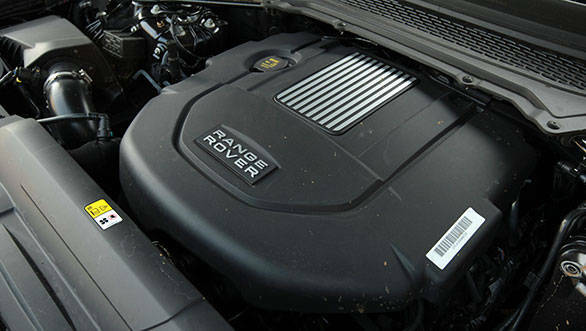 The base Range Rover Sport in India has to make do with a Torsen central differential. And it also doesn't get low range. This mars the Sport of some of its off-roading ability especially in slippery conditions. 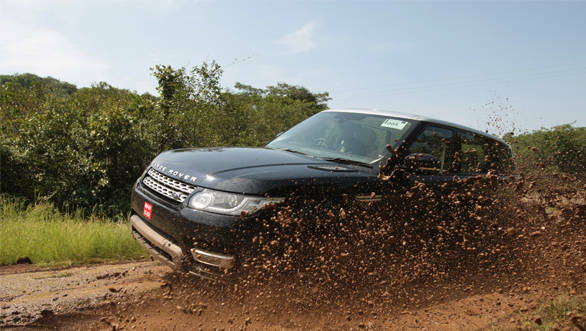 We tried out the SUV at 19 Degree North at Amby Valley near Lonavla which has a challenging off-road track. 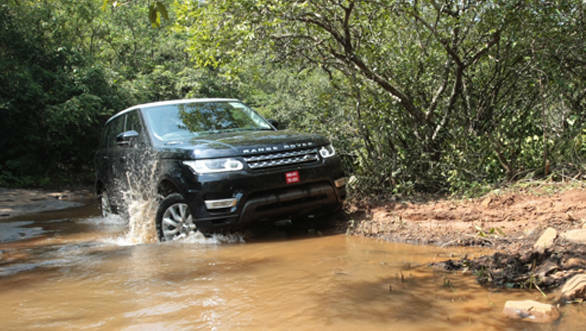 We won't term it the toughest off-road track we have been to, but it is challenging enough. It has rocks, slush, water wading and some slippery inclines. And the SDV6 Sport did manage to plough through, but not with utmost ease. Firstly, a lot branches and rocks had to realigned for making things less difficult for the Sport, as for protecting its expensive paint and under carriage. This base SDV6 does cost Rs 1.09 crore, after all. But even then there were places where the Torsen system had its work cut out. We had to constantly steer left and right to take the least challenging route and had to build momentum to get across a few inclines because crawling speeds only resulted in spinning wheels and no real progress. The SUV's width proved to be an issue at a few places too. The SDV6 doesn't get the Terrain Response 2 system as standard unlike in the V8 petrol which is one of primary reasons for the latter's brilliant off-roading ability. On the road, the Sport felt composed and quiet; comfortable and luxurious. The visibility upfront wasn't bad either and because it has light controls, it wasn't as tedious to drive as we'd imagined; or to manoeuvre and park for that matter, helped of course by the numerous cameras it has all round. Inside, it is well-equipped. 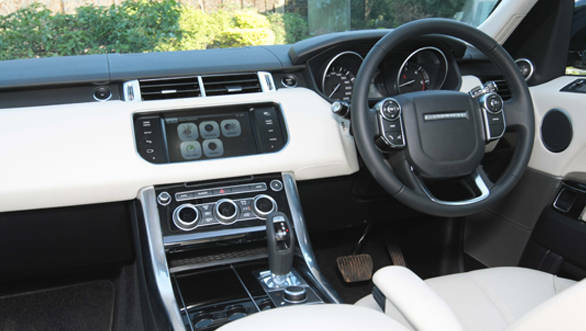 And even though it doesn't feel as upmarket as the Range Rover, there's plenty of thick leather all round for seats, dashboard, doors and even on controls like the gear shifter, which give the insides of the Sport a warm ambience. It's also a clean interior even though it comes with a long list of bells and whistles. Space all round is good too - head or shoulder room, leg or knee room, there's plenty of it at the front and the rear. The Sport is sold with seven seats internationally, but in India, we only get five. The seven seater version is planned but when it arrives, it will come without a spare wheel for there just isn't enough place in the boot to hold the electrically foldable last row seats as well as a spare wheel. 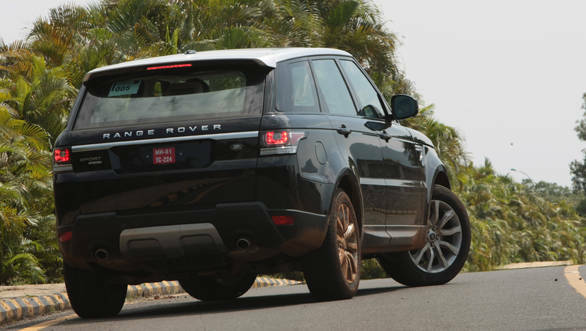 So, what do we think about the entry-level diesel Range Rover Sport in the Indian context? 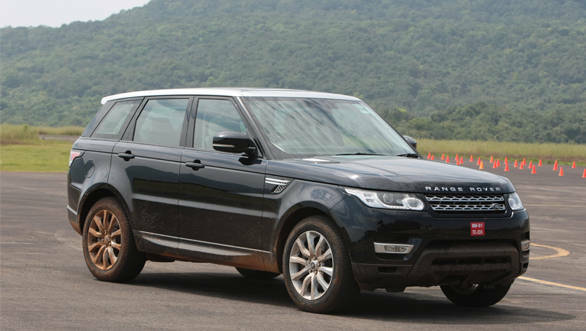 We feel if you are looking at being driven around in luxury and style but don't have the money to afford the Range Rover, the Sport SDV6 would be a good SUV to settle for. It's also a good upgrade from the existing Range Rover Sport. But, it still isn't as sorted dynamically as the Porsche Cayenne, and though it can off-road, I personally won't be too adventurous with it, not after a light rub between a branch and the Sport's door left me cringing like nails against a blackboard. The cheapest Sport does cost Rs 1.09 crore, after all.